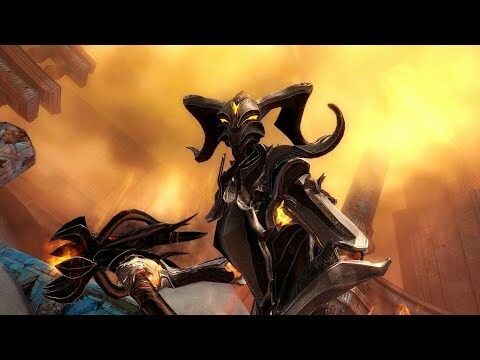 Download game Guild Wars 2: Path of Fire - Deluxe Edition right now! NOTICE: No subscription fees. Requires an internet connection to activate and play Guild Wars 2. Humanity has worshipped the six gods for centuries, even as their prayers went unanswered. Now the god of fire and war, Balthazar, has made an unexpected return, only to reveal himself as a ruthless manipulator with little regard for mortal life. Tyria's heroes thwarted the first stage of his catastrophic plan to destroy the Elder Dragons—but now he's raised a zealous army to cut a path of terror and destruction across the south. You must halt their march before Balthazar sets the foundations of the world ablaze.